Website Aeroparque Jorge Newbery is located in Buenos Aires city proper, with scheduled domestic flights and some regional flights within southern South America. Website Ministro Pistarini International Airport also known as Ezeiza Airport, is located 22 km southwest of the city in the municipality of Ezeiza and serves mostly international routes and some domestic flights. Website El Palomar, is located 18km west of the city in the municipality of El Palomar and serves a limited number of scheduled domestic flights. Taxis are readily available at all airports. Private transfers can be booked in advance or on arrival. Tienda León runs buses from Ezeiza airport to its base in Puerto Madero, in the center of Buenos Aires city. Buenos Aires has a large, efficient public transport network, almost 40,000 licensed taxis, a hop-on, hop-off sightseeing bus, and a vast network of cycle lanes. The Subte is often the quickest way to get around the city, especially when travelling to and from the downtown area. There are six lines (lineas) A, B, C, D, E and H, which connect the city's main avenues, train stations and coach stations. Trains run every three to ten minutes depending on the line, from about 5:30 a.m. to 11:30 p.m. Monday to Friday, 6:00 a.m. to midnight on Saturdays, and 8:00 a.m. to 10:30 p.m. on Sundays. Unsurprisingly, trains can get very crowded at peak commuter times (8:00 a.m.–9:30 a.m. and 5:00 p.m.–7:00 p.m.). The subte website has a detailed map of the network, and you can download a copy of the map as a PDF. Stations have free Wi-Fi access. To travel by subte (underground metro) in Buenos Aires, you'll need to get a rechargeable SUBE travel card and charge it with credit. SUBE cards are available at subte stations, at eight Tourist Assistance Centers and at many "kioskos" (corner shops selling confectionary and tobacco) throughout the city. Cards can be charged with credit at all subte stations, national lottery outlets, and at some kioskos with automated terminals. Known locally as ‘colectivos’ or ‘bondis,’ buses are a cheap and efficient way to get around the city. They run 24 hours a day, 365 days a year, and cover the whole city. Tell the bus driver where you are headed, and they will select the correct fare. The "Metrobus" is a bus rapid transit system using dedicated bus lanes to cut journey times on several of the city's main arteries. Several Metrobus stops have free Wi-Fi access. Buenos Aires is awash with licensed black and yellow taxis and in busy areas you're unlikely to wait more than a couple of minutes for one. Often the most comfortable way to get from A to B, they can be flagged down directly off the street on the right-hand side – you can tell if one is available if the ‘libre’ (free) sign is lit up in the windscreen. Licensed taxis run on meters, and fares are exclusively in Argentine pesos (ARS $). It's common to give a direction to the driver using the cross street. Private hire taxis called remises can be booked in advance through agencies, and you can also book regular taxis using the city government's mobile e-hailing app BA Taxi, available for Android and iPhone. 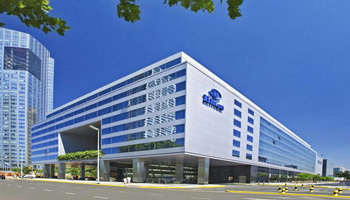 Many major car hire companies operate in Buenos Aires, in the city centre and at both Ezeiza (Pistarini) and Aeroparque (Jorge Newbery) airports. To hire a car you need to be over 21 years of age, have owned a driver’s license for at least 2 years and have the means to pay by credit card. There’s so much to see and enjoy in barrios like San Telmo, Palermo Viejo and Soho, Recoleta, Balvanera, and the microcentro (the central downtown area) that they are often best explored on foot. More and more central streets are being pedestrianized, with improved street lighting and more green spaces.